SEBASTIAN — Special agents are checking on the area’s eight-liner arcades. Earlier this week, state agents arrived at some of the area’s growing number of game rooms to determine whether their security guards were properly licensed, authorities said yesterday. Texas Department of Public Safety declined to disclose the nature of the violations it uncovered, Sgt. Maria Montalvo, the agency’s spokeswoman, stated. “The violations that were discovered during these inspections will be handled administratively,” Montalvo said. Troopers arrived at the area’s eight-liner arcades at about 6 p.m. Thursday, Willacy County Sheriff Larry Spence said. “That’s the first time I know they came in like that to check something,” Spence said. He said the troopers were checking security guard’s licenses to determine if they were properly certified to serve as security guards. “The Texas Department of Public Safety regulates the private security bureau which is why special agents are tasked to conduct random inspections on all noncommissioned and commissioned security guards providing security services regardless of the location,” Montalvo stated. “Special Agents ensure that each security guard is in compliance with state statutes while providing such services to the public and the establishment,” she stated. Montalvo said the agency was not releasing further information at this time. A resident who asked not to be named said he sent a letter to the agency requesting it check security guard’s licenses. For months, many residents have complained about the growing number of eight-liners in this tiny farming community. Many residents are concerned the game rooms will lure crime to the area. Last November, authorities arrested three Brownsville men after they allegedly tried to rob Sebastian’s Silver Outpost amid gunfire. In September, residents requested Willacy County commissioners approve an ordinance to regulate game rooms in unincorporated areas. At the meeting, County Judge Aurelio Guerra said commissioners would consider the request. But commissioners have apparently taken no action. “You have no regulation,” Spence said, referring to the lack of a county ordinance. After the September meeting, resident Stanley Gonzales said he presented commissioners with copies of a tough ordinance the county’s previous administration rejected. “The more, the worse it’s going to be,” Gonzales said of the number of game rooms in the area. Spence said the game rooms draw many players whose vehicles carry out-of-town license plates. In October 2014, then-Willacy County Judge John F. Gonzales Jr. pushed for the proposed ordinance after it passed in Harris County. But in a meeting before audience members with ties to game rooms, Gonzales scrapped the proposed ordinance after at least three county commissioners opposed the plan. Within three months, a game room opened in Raymondville Plaza, before eight-liners began popping up across Raymondville. After a tough Raymondville ordinance pushed most eight-liner arcades out of that town last year, more game rooms are opening in unincorporated areas such as Sebastian, where Willacy County does not have an ordinance to regulate them. Now, about nine eight-liner arcades are in business here, Spence said. He said he could not disclose whether authorities have launched an investigation to determine whether the game rooms are paying out cash. Eight-liner arcades are game rooms in which patrons play eight-liner machines resembling slot machines. 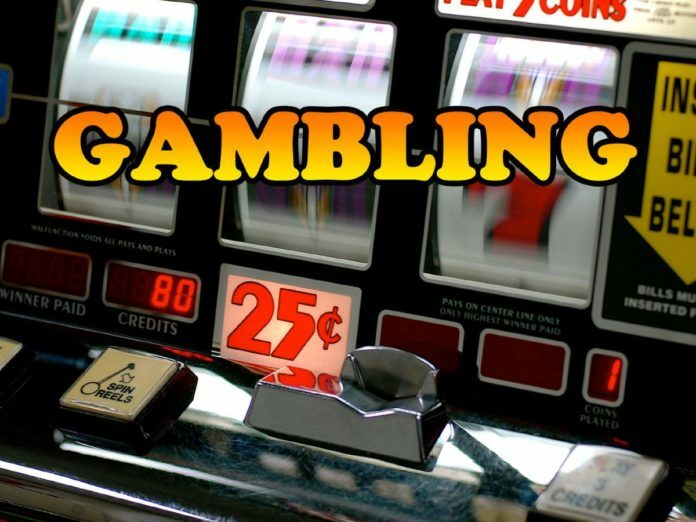 Under state law, it’s illegal to operate eight-liner machines that award players with cash or merchandise valued at more than 10 times the price to play the machine, or $5, whichever is less.